The industry is growing at 30 per cent every year; more than 55 per cent of the Rs 6,000-crore Indian toy industry is still accounted for by imports, as projected by Toy Association of India, TAI. The burgeoning growth in organised retailing has helped domestic and international toys and games manufactures to target tier two and tier three cities and expand their market base deeper into India. The health hazards that cheap Chinese toys can pose has also made people aware and grow even more conscious. Both these factors helped domestic organised toy suppliers to grow in prominence in the Indian market through their innovative and quality toys and games. Also, the perception towards toys as a necessity for all round development of child will help in further driving this market. Growth in preschool, large population of children, increasing awareness of quality issues are other factors that is leading to the growth. In 2010, the toys and games market was valued at INR 40 bn. The market is likely to grow with increased per capita income of Indians and the increased availability of world class toys. Health concerns associated with cheap materials are likely to reduce the popularity of cheaper imports and this is likely to help local toys manufacturers further. Toy manufacturers in India have embarked on a green drive by initiating a recycling process and the use of non-toxic raw materials. In line with this green commitment TAI has recently launched its ‘We Care’ campaign. The campaign is designed to spread awareness among small toy manufacturers about the health hazards associated with using toxic materials in toys and also encouraging them to initiate recycling process. A study by Delhi-based Centre for Science and Environment showed that 45 per cent of the toys made in India contain dangerous phthalates, a group of chemicals. Regular exposure to phthalates can cause asthma, skeletal defects, damage the male reproductive system and impair the lungs in children. Raw materials like high-density polyethylene (HDPE), styrene acrylonitrile (SAN) and acrylonitrile butadiene styrene (ABS) can be used instead which are less harmful. The department of industrial policy and promotion (DIPP) is also coming up with guidelines for the industry in a month or two. “We are trying to create awareness among small manufacturers of this unorganised sector now. 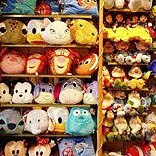 We have already urged all our 600-odd members to adopt non-toxic materials only and if possible, to recycle toys too,” said Raj Kumar, president of the Toy Association of India (TAI). Growth in demand from relatively new sectors of toys and games such as video games, infant games and pre-school games is expected to steer the toy market in the years to come. Local manufacturers have to find out new means to tackle the Chinese challenge and build up more innovative products that will help grow this market. To do this, they are to do away with obsolete designs and old technologies.